String inverters are well-tested and reliable systems that have been around for decades. With string inverters, every solar panel is wired in a "string" to the inverter box. The conversion from DC to AC occurs at one central location, such as your garage. Because the solar panels are wired in “series," each panel's power output depends on all of the panels working. Think of a string of Christmas tree lights. If one bulb goes out, the whole string of lights go out until the bad bulb is replaced. So, if shade from a tree hits one panel, it can seriously diminish the power produced by the whole solar system until the shade clears. This is why an accurate shade analysis is so important. Fronius Inverters have surged in popularity since the release of the snap-in design around 4 years ago. The high-end Austrian manufactured inverter range has definitely become the inverter of choice for many domestic and commercial solar installations. Although customers are also raving about the performance and monitoring features, plus the reliable customer service from Fronius in Australia. With the 10 year extended warranty period the Fronius range is now generally considered the industry leader. 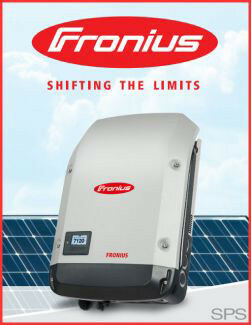 We have installed many fronius inverters in Bendigo and surrounding areas for domestic and commercial customers. We also offer other popular brands like Solaredge, SMA, Goodwe, ABB and Sungrow. A Hybrid Inverter (also known as a multi-mode inverter) is capable of managing the electricity output of solar panels and charging a battery system; while also operating with mains grid supply. Hybrid inverters can work like a grid inverter if there's no battery installed. A Hybrid inverter can provide power directly from solar panels to house appliances and charge batteries for night usage, minimising the import of electricity from the grid. Hybrid inverters can offer an additional backup function to provide power to your home when there is a grid outage. Given this extended capability prices tend to be higher than a standard string solar inverter. 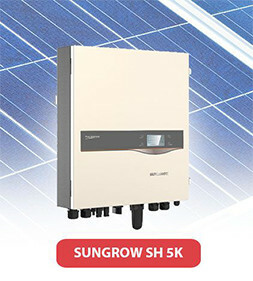 We offer popular Hybrid inverters from Sungrow, SMA, Fronius, Goodwe and Selectronic. Micro Inverters are relatively new to solar. Instead of converting the DC to AC power at a central location, micro inverters are installed right under each solar panel. The main advantage of micro inverters is the ability for each solar panel to transmit power into your home. In other words, each panel is independent from the next and keeps producing power regardless of what happening to the panel beside it. Another benefit is the ability to monitor the performance of each panel through an internet portal so you can keep track of your system anywhere you go. Micro inverters are only truly beneficial if you have shading on your roof as performance is similar to string inverters if there's no shading. We have installed Enphase and APS micro inverter systems in Bendigo and surrounding areas. Selectronic is our only choice for off-grid inverters as they offer reliable performance which is important when you are not grid connected. Selectronic are made in Australia and have been in the business since 1964. Service and after sales support is great and off a 10 year warranty if installed by an accredited installer. They have flexible configuration options and a good range of batteries are compatible. More info avaliabe at http://www.selectronic.com.au/. We offer a range of lithium Ion batteries for offgrid and hybrid applications. Depending on your needs we can provide a battery system that's best suited for your needs. We use only lithium technology as reliability and performance is much better than older battery technology. 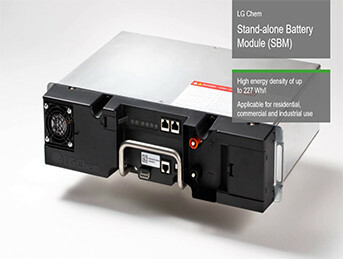 We supply and recommend LG Chem and BYD as our main battery solutions. 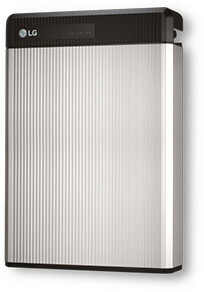 Range from 3.3kw, 6.5kw and 10kw capacity.